New Book Details Kushner’s Alleged Middle East Peace Plan, Which Is PreposterousAccording to Vicky Ward’s Kushner Inc., the senior advisor hoped to convince five countries plus Palestine to give aid or renegotiate boundaries. New Book Makes the Case That Jared and Ivanka Are Worse Than Previously ThoughtAmong the couple’s newly revealed transgressions: forcing their way on to Air Force jets and defending President Trump’s racism. For Jared Kushner, Nepotism Is Official White House PolicyPresident Trump reportedly overruled officials’ concerns that his son-in-law could be compromised, and granted him a top security clearance in 2018. Ivanka Trump Sat in for Her Father Among World Leaders at G20“If she weren’t my daughter it would be so much easier for her,” the president also explained on Saturday. 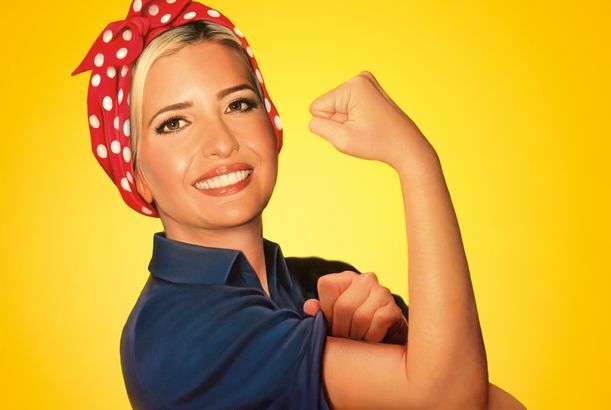 Ivanka Trump Is Hard at Work in Washington — But for Whom?The First Daughter is a different kind of people’s princess, devoted to the needs of a waning king. Trump Can Legally Give His Son-in-Law a White House Job, Justice Department SaysJared Kushner’s appointment as a senior White House adviser does not violate anti-nepotism laws, according to the Office of Legal Counsel. NBC Paid Chelsea Clinton $600,000 to Do Nothing, BasicallyOne time she interviewed the cartoon Geico gecko. Nan Kempner’s Grandkids Design Line in Her HonorIt’s called Kempner. The perfume will be called Nan. Pookie and Louisa Burch Join the Family BizAnother fruitful branch of the Waspy family tree. 22-Year-Old to Run RollingStone.comJann Wenner’s son. Chelsea Clinton at NBC: When Nepotism Goes WrongNetwork insiders are sniping anonymously at their own celebrity creation. Chelsea Clinton’s NBC Deal Is Only for 90 DaysAnd she might not re-sign with them. Meet Bob Dylan’s Rapping GrandsonPablo Dylan, everyone. James Murdoch Still ‘Has to Kind of Prove Himself’ Before He Gets the Keys to Rupert’s KingdomEvery silver spoon has its thorns. Sidney Harman Teaches His Son It’s Never the Wrong Time for NepotismHarman’s son gets an internship at Newsweek just in time for the lay-offs expected on Friday. What Role Did Nepotism Play in Launching the Careers of Chris and Abby Elliott?Sadly, ‘The New York Times Magazine’ didn’t address this issue in their 4,700-word profile on them this weekend. Will Nepotism Sink Robert Rodriguez’s ‘Barbarella’ Remake? Probably!After the runaway box-office success of Grindhouse, fiancée-fiancé acting-directing team Rose McGowan and Robert Rodriguez have made plans to work together again, even though everyone thinks it’s a really, really bad idea.